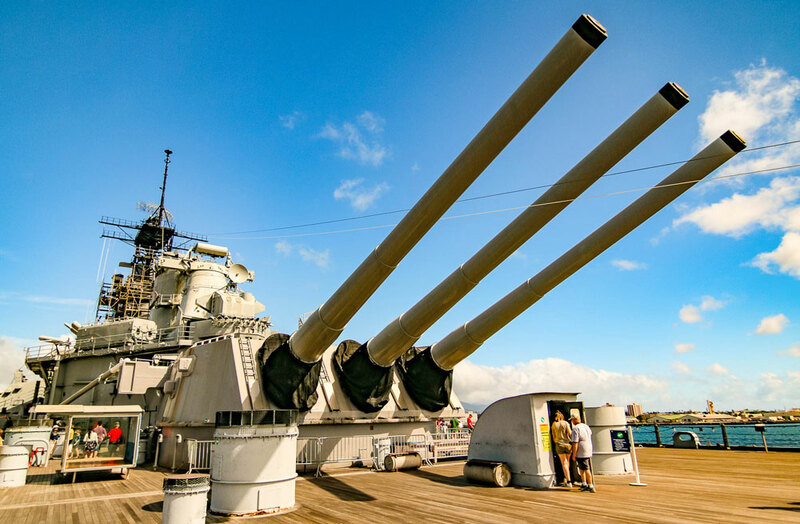 Though some travelers opt for a basic self-guided tour, the full day Complete Pearl Harbor Experience from Pearl Harbor Tours is our recommendation for the most fascinating, in-depth day tour of the area. 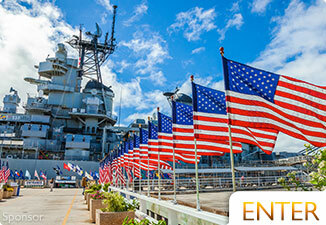 Guests will receive historic WWII narration from an expert local guide, as well as a visit to Oahu’s Pacific Historic Park, Punchbowl National Cemetery, and admission to Pearl Harbor’s top visitor locations, including the USS Arizona Memorial, USS Bowfin Submarine, USS Missouri Battleship, historic Pacific Aviation Museum, and a deck tour of the USS Oklahoma Memorial. Tours also include round trip transportation and allow you to skip the long lines at Pearl Harbor, making the most of your previous travel time. 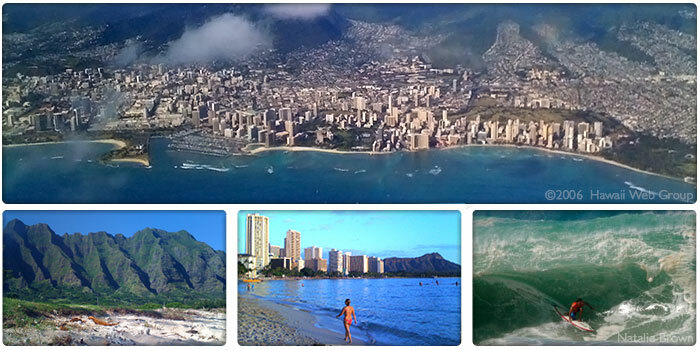 About an hour drive from Waikiki, you'll find yourself immersed in the thick of surf haven USA! It's all about big, glassy waves in the winter, and smaller, gentle waves in the summer; however, this surf mecca is distinctly legendary. If you explore this area you're bound to see veterans venturing in and out of the water, in just about every place you go. More than 7 miles of beach, surfing and legendary wave action can be found here at the North Shore. As mentioned in the beach section above, the Superbowl of wave riding is the Vans Triple Crown of Surfing which happens here in November-December. Wave faces often reach in excess of 30 feet in the winter, so pay close attention to warnings and local conditions before going into the ocean. If you're a beginner to moderate surfer, stick to Waikiki when swell is small. Whether learning to surf on the south side or watching pros on the north side, surfing is definitely one of the more popular of Oahu activities. In the National Register of Historic Places this former home of King Kalākaua and Queen Liliʻuokalani was the only place in the United States to ever be used as the official residence of a reigning monarch. 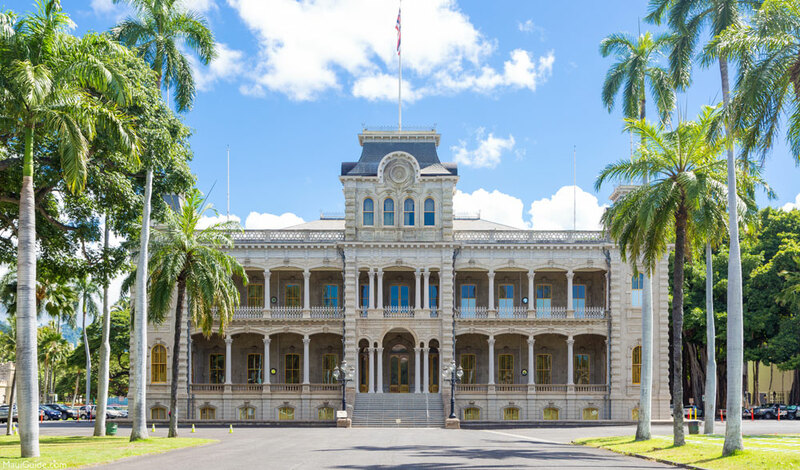 After the overthrow of the monarchy in 1893, the building was used as the capitol for the Territory and later State of Hawai`i until 1969. It was restored and opened as a museum in 1978, where it continues to accept visitors,9-5 PST, Monday through Saturday. 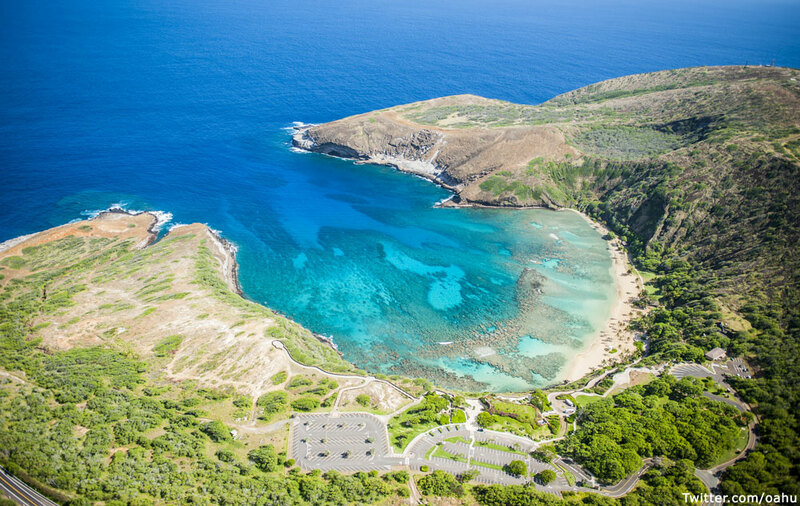 Just a short 30 minute drive from Waikiki is the flooded volcanic crater we call Hanauma Bay. 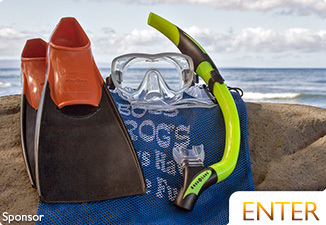 It is teeming with life of all sorts and the crystal-clear blue waters make this place a snorkeler's paradise! There is a fee to enter the preserve and a parking fee as well, but it's a small price to pay to experience one of O`ahu's most amazing places. Check out the visitor center for details and a fish identification chart. 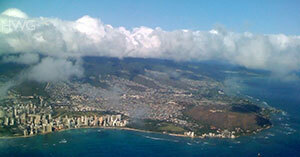 O`ahu is where most people live and work in Hawai`i. Roughly 75% of all Hawai`i residents have gathered here on O`ahu, the third largest Hawaiian island, because of it's relatively successful economy, including more jobs, business opportunities, and access to goods and services than the other islands combined. In January, 1778, a member of Captain James Cook's crew, on the HMS Resolution, sighted the island of O`ahu. At that time the Hawaiian islands were unknown to all but Polynesians. O`ahu was not actually visited by Europeans until February, 1779, when Captain Charles Clerke stepped ashore at Waimea Bay. Captain Clerke assumed command of the Resolution after Captain Cook was killed on the Big Island. The Imperial Japanese Navy attacked Pearl Harbor, O`ahu early on December 7, 1941. The surprise attack killed many US servicemen and destroyed numerous military aircraft and several naval ships. Today, Oʻahu is a shopping and tourism mecca with more than 5 million visitors a year seeking the diverse vacation offerings in this travelers paradise. It's a daunting task to catalog the many beaches, towns, attractions and historical points of interest on O`ahu, so we're going to introduce you to just a few for now. This is one of the most popular beaches in the world with more than 4 million sunblock-laden beachgoers every year. The postcard-famous views of Diamond Head from Waikiki Beach are synonymous with a Hawai`i vacation. This 2-mile long beach is well known for it's long-lasting wave break, which is ideal for learning to surf. Of course, this beach gets crowded and people watching is a daily activity. It's also a great place to watch Hawaiian watermen surf in Canoes. There are an endless supply of nearby facilities, resorts, restaurants and activities. Another 2-mile stretch of beach awesomeness starts at Sunset Point and goes all the way to the Banzai Pipline (Ehukai Beach). 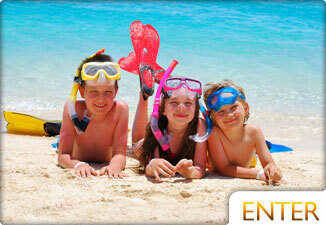 During the summer it's a family friendly, swimming and snorkeling beach, and in the winter it's a surfer's heaven. Sunset Beach is considered by many to be the longest stretch of rideable surf in the world, which is just one reason the Vans Triple Crown of Surfing event (Nov. - Dec.) pops up here every year. With white sand and calm waters, it's no wonder why Conde Nast ranked Lanikai as the world's No. 1 beach in 1996. Lanikai is hidden adjacent to the residential neighborhood of Kailua and features two small islands called Moks (Mokulas). This picturesque beach is the perfect setting for sunbathing and ideal for swimming, snorkeling, kayaking and sailing, but parking is limited. Not far from Lanikai, Kailua beach is popular with families, windsurfers and sailboards. There are plenty of things to do here including 35-acres of light-colored beach sand, park setting, picnic areas, and a volleyball court. This beach park and boat ramp has facilities to rent watersports equipment and plenty of public parking. With nearly 5 miles of soft sand, it's no mystery why so many people love Waimanalo Beach. This Windward Coast beach park has plenty of parking and it's picnic friendly! Waimanalo is one of the longest beaches on the island of O`ahu, and is ideal for long walks on the beach, fishing, and boogie-boarding, according to locals. The video above was provided by Blue Hawaiian Helicopters. 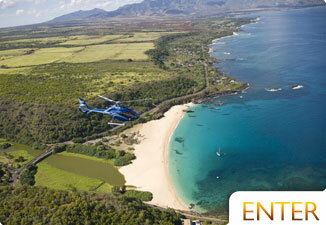 Check out their Blue Skies of Oahu helicopter tour or call 1-800-745-2583. This internationally famous town is the most populated city in all of the Hawaiian islands. Honolulu is also the capital of Hawai`i and has a population of more than 395,000 people. On the south shore of Honolulu, you'll find the world-famous neighborhood of Waikiki, a mega-shopping metropolis. Adjacent to Waikiki, one of the worlds most famous beaches awaits visitors from all over the world—Waikiki Beach. Honolulu is a cosmopolitan town with an amazingly diverse selection of world-class entertainment, unique cultural events and fabulous performing arts. In contrast to Honolulu, is the charming little town of Haleiwa. It's only about an hour drive from Honolulu, but it's worlds apart. Far from the skyscrapers and busy highways, Haleiwa has remained a laid-back surfer town in appearance, but it also has a remarkable country ambiance and local style. Here, in this easy-going, artistic hub of the North Shore, you'll find the little art galleries and unique boutiques you were looking for in paradise. If shopping is on your Hawai`i bucket list, then O`ahu is your own personal paradise! 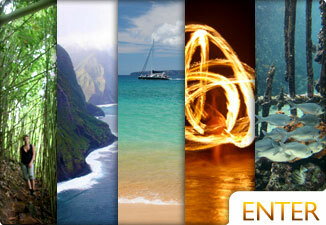 There's simply no way we could NOT mention the incredible shopping experience on O`ahu. There are numerous open-air malls such as Ala Moana Center, which is one of America's largest outdoor malls. You will also find plenty of high-end retailers, large department stores, charming little boutiques and local specialty stores in and around the main shopping areas in Waikiki and Honolulu. The endless shopping options in O`ahu are sure to make your visit a shopping adventure. The Forbidden Isle is a mystery to most. We uncover some very interesting things about this Hawaiian Island. Be extra cautious when entering the ocean. The waves on Oahu are deceptively safe looking. They are incredibly dangerous, so make sure you go to beaches with lifeguards and is known for low swell activity.